With a heart for loving God, loving people, and nurturing spiritual growth, Xochitl (soh-cheel) E. Dixon encourages and equips women to experience God’s presence and embrace God’s grace, through prayerful study and application of His Holy Word. Xochitl is represented by Timothy J. Beals, the president of Credo Communications, in Grand Rapids, Michigan. She looks forward to serving with the Credo team and is grateful for the wisdom and godly leadership Tim brings to her writing journey. She lives in Northern California with Dr. W. Alan Dixon Sr., her wonderful husband who doubles as her best friend, their young adult son, Xavier, and their doggy-daughter, Jazzy. Married in 1994, Xochitl and Alan praise God for His immeasurable grace as they plunge toward their twenty-fifth wedding anniversary. Xochitl is her husband’s biggest fan when he’s playing softball and, since he graduated in 2016 with a doctorate in organizational leadership, she gladly accepts all planning and organizing falls under his responsibility. On their down-time, they love traveling, photography, and creating encouraging memes together. Xochitl takes great pleasure in singing loud enough for the neighbors to join her in praising and worshiping the Lord. 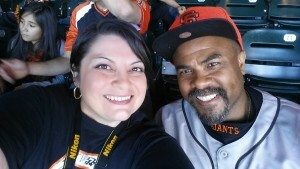 She enjoys going with her husband to Giants games and is a sucker for getting lost in a good book. She delights in sharing the love of Christ wherever she goes and has learned to appreciate live theater, especially since she never realized her dream to perform on Broadway. For years, Xochitl prayed for the opportunity to share God’s truth and love to the ends of the earth and asked the Lord to use her writing to inspire readers toward deeper prayerful study of the Bible. In April 2016, by God’s incredible grace, Xochitl was given the privilege of serving as a contracted writer for Our Daily Bread Ministries. She continues to give God all the glory, the honor, and the praise, as she learns from the talented and encouraging ODB editorial team. Xochitl invests in the writing community by offering encouragement, prayer, and sharing Scripture-based prayer memes through Write to Worship, a Facebook ministry page she started in December 2017. Her short stories have been published in ENCOUNTER – The Magazine, a take-away for teen Bible curriculum. Her poem, “Amazing by Grace,” was published in Devo ‘Zine, a teen magazine. Her devotion, “The Master Craftsman, was published in The Upper Room (Jan/Feb 2014 issue). A snippet of her testimony of God’s redeeming love and immeasurable grace was published, under the name of Stephanie Dixon, in The Bare Naked Truth: Dating, Waiting, and God’s Purity Plan by Bekah Hamrick Martin. She contributed quotes to be published in The Mean Mom’s Guide to Raising Great Kids by Joanne Kraft. Three stories about her mom were included in As My Parents Age: Reflections on Life, Love, and Change by Cynthia Ruchti. 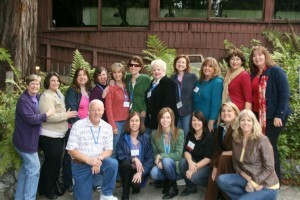 As an active supporter of ministries that equip and encourage writers to serve God with their creative skills, Xochitl highly recommends the following writing conferences: the SoCal Christian Writers’ Conference, the West Coast Christian Writers’ Conference, the Mount Hermon Christian Writers’ Conference, and The Oregon Christian Writers’ Conference. For more recommendations, please visit the writer’s resources page. 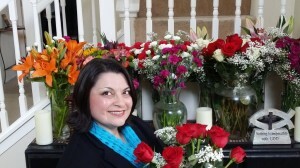 Xochitl has a passion for ministering to women, mentoring teens, and encouraging writers. She’s currently enjoying the scenic route toward earning her BA in Christian Ministry online at Regent University and is available for speaking events and retreats ministering to women, teens, young adults, and writers. You can fellowship with Xochitl by subscribing to her blog on the homepage of this website, liking her Author Page on Facebook, or following her on Twitter. Affiliations: Our Daily Bread Ministries (2016-Current), Delta Sigma Theta Sorority, Inc. (1990-Current) and First Baptist Church (2009-Current). I was just looking at the Bible reading in Luke for April 1 when I saw your first Daily Bread post. I had to read it even though we are not there yet. My mother in 1997 departed to be with our Savior the same as your mom. Thanks for writing these inspiring articles. God bless you always. Pauline, I’m so sorry for your loss. I’m praying for us, as we remember our mamas today. Thanks for taking time to offer me a word of encouragement, Sister. Your kindness makes a difference! To God be the glory! Alison, thank you for the encouraging note. I agree with you, Sister. It is comforting to know the Holy Spirit intercedes “for us and for our good,” especially when we are struggling to accept His answers because of our pain. I’m praying a blessing over you and looking forward to growing with you, Sister. I hope to hear from you again. Thanks for taking time to bless me with your kind words. To God be the glory! I just read your April 1 Bible response for ODB. My mom went to her eternal joy in 2000 after many years of suffering. She always smiled through because she loved the Lord and shared that with all. I ‘m sure you miss your mom as I do. Bless you so much for sharing your story! It truly spoke to my heart and helped to heal some of the pain. Welcome ,blessings to you at ODB. Gail, I am so sorry for your loss. I miss my sweet mama, too. I pray God will continue to be our peace as He strengthens us with His everlasting hope. 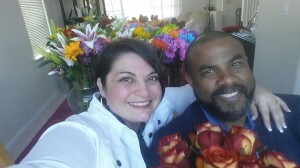 I’m so grateful He brought us together for a moment, so we could celebrate the beautiful mothers He gave us. I appreciate your words of encouragement, Sister. To God be the glory! Your devotional in Our Daily Bread today was a blessing! John, I’m praising the Lord for using this small offering to encourage others. Thank you for taking the time to offer a kind word. God bless you, Brother! Thanks for your encouraging word. I just read your ODB devotion for today. To trust God’s purpose in times of confusion is like holding a loving parent’s hand in the dark. Thank you for sharing your story and insights as well as your mother’s watchword. I appreciate you taking time to offer your kind words of encouragement, Katherine. Thanks for sharing that beautiful image of trust being like “holding a loving parent’s hand in the dark.” You are so right. We can certainly trust our Heavenly Father. He’s proven that time and time again. I look forward to connecting with you more through ODB and here on my blog. God bless you, Sister! I too read with tenderness of heart your ODB devotional this morning and can identify with your heartfelt cry to the Lord. My sister & I cared for my mom, after my father passed away, for 8 months until she joined him with Jesus. Welcome to ODB & I will look forward to reading more from you. I’ve not written to an author before but I must confess that I am curious about the origin & meaning of your lovely & unique first name. Patti, God ministered to my heart through your beautiful blessing! Thank you for taking time to offer me such kind words of encouragement. And thank you for sharing your story. I am sorry for your loss, Sister. What a privilege to be able to serve our mothers in this special way. I got to know my mom better, appreciate her more, and was blessed to be able to show her how much she meant to me. I still miss her so much. But when I’m grieving, when the tears fall (like now), I feel God’s loving presence and am comforted by stories like yours. Thanks for welcoming me into the ODB family. I’m looking forward to connecting with you more through ODB and even here on my blog, Sister. P.S. My name is Aztec. It means “Princess of the Garden.” Unfortunately, my mom was the one gifted in gardening. I love taking photos of flowers and using them to create encouragement memes. But I should not be trusted with caring for a garden. Thank you for asking. Just a note of encouragement my sister, to continue faithfully in your calling. God have in store for you, more than you could imagine. God blessings upon you and your family. Thank you for that beautiful blessing, Pastor Audley. I’m thankful for your partnership in sharing the Gospel of Christ and am praying a blessing over you and your family, too. You made a difference by simply taking a moment to offer a kind word of encouragement. Thank you for investing in God’s Kingdom, and for building others up in love. I would appreciate your prayers as I continue to seek God’s direction, keep Him first, obey Him and love Him, as I depend on Him to help me share His truth and love with every opportunity He places before me. To God be the glory, the honor, and the praise! Your post today is quite deep and made me think. Someone’s yes meant someone’s no. I’ve read the daily bread since I was a child and immediately recognized a different voice. I’m happy you are here as it provides encouragement also. Andree, I’d been reading Our Daily Bread for years before I surrendered my life to Christ. My husband’s parents used to give us the booklets. I praised the Lord with grateful tears when He blessed me with the privilege to serve through this ministry. I’m still often moved to tears of praise as I pray and worship Him through my study and writing process each month. To God be the glory! Thanks for taking time to bless me with your kind words. I look forward to praising the Lord with you through ODB and here, on my blog, and am praying a blessing over you as you continue to encourage others. Welcome to ODB. After reading your May 6 devotional, I looked you up. Thank you, Nancy! It’s a blessing to be a part of the ODBM family. Thanks for taking time to encourage me, Sister. I pray God will continue to overwhelm us with the depth of His great love, as we seek Him and share Him! Hi Xochitl, I read your write-up in Our Daily Bread for today, 12th June and I found it truly inspiring. In reading the Scripture for the day together with your write-up, I discovered a new sense of meaning about living a Christian life. It was a realisation that everything we do here on earth for God adds up no matter our situations and after it all, the sure hope of living a limitless life with God. I was particularly encouraged by your strength to pull through in the face of struggles. I would like to encourage you to keep up your faith and the great work of reaching out to many through your writings. I am a testimony to the impact of its blessing. Thank you for taking time to offer such kind and encouraging words. To God be the glory, the honor, and the praise! He is our strength, our peace, our hope, and our joy! Thanks for sharing how God is working in and through your life. Hearing the testimonies of others inspires me to persevere and to continue growing closer to our Lord and Savior Jesus Christ. I pray God will continue to bless us as we continue to grow deeper in our personal relationships with Him. Your message for June.12, in ODB, sent a shock through me. I could have written those words! I have been battling chronic pain and diminishing mobility since 2013. My world has become smaller and smaller, until I am no longer sure why the Lord keeps me here. All I can think is He still wants me to learn. I don’t know what your story is, why you are hurting and disabled by it. But be assure, someone who understands much of what you wrestle with will be faithfully praying for you. Beth, thank you for your beautiful message of encouragement. It never ceases to amaze me when those who hurt so much are often the most compassionate and inspiring people. Thanks for taking time to make a difference in my life. You are a blessing, Sister. I pray God will continue to be our strength, our comfort, our peace, and our joy, no matter what our circumstances. Hallelujah! 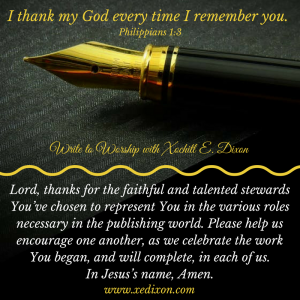 I am grateful to have you joining me on my blog. I look forward to growing with you, Sister. Thank you for praying for me and my family, Brother Dave. May God continue to bless you as you continue to serve as a mighty prayer warrior. Every prayer makes a difference. To God be the glory, the honor, and the praise. I just read “Destroying the Divides” for July 3, 2017. I decided to look up the author as I was blessed by your transparency on relationships and swallowing our pride, even when we think we may be right. Needed this today. Thanks for all you do, and may God continue to bless you and your family. Thanks for taking time to offer me a kind word of encouragement and a loving blessing for me and my family, Monique. To God be the glory! I don’t know why you needed the “Destroying the Divides” message, but God knows and cares deeply for you, Sister. I pray He will bless you with peace, as He strengthens you. I hope you’ll return and join my blog family, as we dig deeper into Scripture and rejoice in the ways God is working in and through our lives. Have a blessed day! Xochitl, I’ve been reading Our Daily Bread off and on for decades and when I came across something you’d written recently, I thought, wow, who wrote that?! Saw your name, couldn’t pronounce it, so went online to find out about you. I’ve never done that before when reading Our Daily Bread. You’re so different, so real. Just read your blog about forgiveness and I love your writing, your heart for Jesus, for obedience to God’s Word. As I read your comments about forgiveness, I was saying, “amen, amen” because you don’t sugarcoat walking through the pain. If Jesus hadn’t taught me how to forgive, I wouldn’t be sane. Thank you for your writing! Thank you for your kind words of encouragement, Charlotte. To God be the glory, the honor, and the praise! As you know, we can do nothing without Him, Sister. I am grateful He never leaves us to manage life in our own strength. Thanks for joining me on my blog. I hope you will return. I look forward to growing with you. BTW, my name is pronounced (So – Cheel). Good Day Mrs. Dixon. I just wanted to take a minute to let you know how excited I am when I prepare to study an ODB devtional every morning and notice you’re the writer of that particular devotional. Though I enjoy all of them, yours, many times really hit home for me. After studying, I had to give God thanks and praise for reminding me that worship is priceless and that in our giving of ourselves to Him is more important than any tangible gift. God is truly amazing and I thank Him for bringing you into the fold of ODB. I look forward to reading more of your work. God bless You and keep you. ALWAYS!!! Thanks for those kind words, Tanya. I can almost feel your joy for the Lord as I read your message! I appreciate your loving welcome to the ODB family and am grateful you made time to visit my blog and offer me encouragement. You made my day! To God be the glory, the honor, and the praise! I’m looking forward to growing with you, Sister. Dear Mrs. Dixon: I was just reading your writing in the Daily Bread today about the beautiful arrows that your father makes. Is it possible to buy one? I love your writing and the writings of all the others also and read them every day. Thanks for your kind words of encouragement, Nancy. My dad doesn’t sell his crafts. But thank you for the compliment. 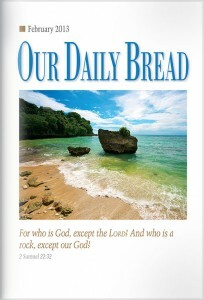 I want to thank you for your inspiration and encouragement through Our Daily Bread devotions! God uses you to bless me as I’m sure sure the other readers as well. It is especially good (in God’s “good”) to read your emphasis on giving God the glory and honoring Him in everything we do. I hope people who can’t understand that will one day. Not to miss taking the log out of my own eye, I pray my life will reflect that! Thank you for those kind words, Deborah! I am encouraged by your heart for giving God the glory and honor and praise in and through all of our circumstances. I pray we will live for Him, love for Him, and love one another like He loves us. I’m so grateful to be on this journey with you, Sister. Your daily bread msg 6 Dec 17 was impeccably timed – I have been suffering from neck shoulder pain for the last 6 months without reprieve. I suspected it was from a fall over a year ago but can’t be sure. Not being able to know how, why or if it will ever improve has left me in deep despair. I was awake early because of the pain and when I read your message on the ODB I could hear and feel God’s presence. The message was not general or vague but addressed my individual circumstances and I was asked to trust in God, be confident of His goodness and be aware of his constant presence. Thanks for sharing your testimony, Rina. I love how the Lord uses us to encourage one another. He is so good! I’m sorry to hear you’re hurting, Sister. I’m praying we will continue to feel the Lord’s loving presence as we trust Him through every twist and turn of our healing journeys. Just wanted to thank you for your reply to on Dec 6. I’m still re-reading your response when I needed encouragement. It was truly inspired by the Holy Spirit.and was concise and precise in very little words cover every aspect of my feelings. So as I was googling, I only realised that you also wrote on Trust Tally (Oct 29), and that was the 3rd time God spoke to save our marriage. So I just wanted to thank you for your writings and keep up the good work. God bless you. This message brought tears to my eyes! To God be the glory! Thank you for taking time to drop me this note of encouragement. I love to hear how the Lord is renewing relationships. My husband and I praise God for the way He’s helped us grow closer to Him and one another over the years. It’s not easy to share how we struggle, especially with such a vast readership. But we know God did a mighty and miraculous healing work in our lives. So, we can’t help but share our testimony and pray for couples who are struggling. It is my pleasure and privilege to pray for your precious marriage. I look forward to seeing what God has in store for all four of us, as we honor Him and our spouses in every aspect of our lives. Hallelujah! My husband and I have devotions together and have our devotions from Our Daily Bread. On January 8th you were the writer and wanted to tell you how blessed I was to read of the miracle regarding your medical bill. Isn’t the Lord wonderful when He surprises us with things such as this. It brought tears to my eyes in reading your story. Thank you so much for sharing. I love hearing that you enjoy devotions with your husband. I also love how the Lord uses our stories to remind us, and others, that He is and always will be faithful! To God be the glory, the honor, and the praise! Thanks for taking time to encourage me, Sharyn. I look forward to praising God with you, Sister. Thanks for taking time to offer me a word of encouragement, Viona. I am so sorry you had a worry-filled morning. I pray God will continue to be our peace, our comfort, and our everlasting hope in all circumstances. I look forward to praising the Lord and growing with you, Sister. Hi Xochitl , Alison here from South Africa – I have just forwarded your message for 3 July 2018 (I am reading ahead as we will be away over a period in July!) to my children, their spouses and parents – we are all so anxious for the safety and well-being of our children no matter what their age and your story of the shoe store speaks straight to my heart. We live in worrying times here in South Africa and over the whole world. Thank you for reminding us to trust in God to watch over our loved ones. Please will you pray that my children and their children will come to know and trust in God in all circumstances? God bless you greatly! Thanks for your encouraging note and for allowing me the privilege of praying for you and your family. God is so good! — Lord, we are so grateful for the ongoing reminders of Your power, Your love, and Your sovereign goodness. Please fill Alison with peace and courage as she trusts You to provide for her family and protect them. Draw each of them closer to You and one another, Lord. We know You are able. We know You are merciful and faithful. Lord, please strengthen my sister with confidence rooted in Your limitless reach as You care for her family and woo them into loving, intimate, and authentic relationships with You. In Jesus’s name, Amen. I really love your voice! Thanks for the message(s). Thanks for your kind words of encouragement. To God be the glory! I look forward to praising God as we continue seeking Him in His infallible Word. Hallelujah! God bless you and keep you in his tender care. Thank you for your kind blessing! May our Lord bless you and your loved ones, Sister. He is so good! Greetings Xochi. I was truly Blessed this morning reading “Generous Givers” at https://odb.org/. Thank you for your transparency. You and your husband demonstrated that there are so many ways to be a Blessing. As my wife and I are Pastoring here in Maryland we are constantly looking for creative ways to help our community. Please could you share some of the events that were done at the gymnasium that you generously contributed to. Your writing is inspirational. May the Lord continue to Prosper you on your journey. Thank you! Thanks for your encouragement and your faithfulness in serving the Lord with your wife, Christian. The gym is used to host a weekly after church cafe, a weekly basketball reach-out ministry, sports camps, harvest festivals, and youth ministry meetings. The men’s and women’s ministries used the gym for various events and there was a weekly food ministry, too. Thanks for your blessing. I pray God will bless the work He entrusts to you. I look forward to growing with you and your wife and hope you’ll consider subscribing to my blog. Thanks for that beautiful blessing, Brother! What a gift that we can serve God in so many different ways, in so many different roles. God’s Word truly is amazing and so worth studying. Hallelujah! Xochitl, your devotion this morning hit the nail on the head. It reminded me that all I have is His—without out Him, I have nothing. The earth is the Lord’s and the fullness therein. Thank you. Amen! We have nothing without Him . . . but He is our everything. Hallelujah! I appreciate your encouragement. To God be the glory! Almost every day, I feel like God is talking to me through ODB. It is surprising and really awesome as the word originally implies. So I often open ODB with great expectations like “What would God say to me today? Will God say something to me when I am facing this overwhelming challenge?” I have been encouraged every morning. Then all of sudden, I feel confident and energized. Then just like you, I sing and just praise songs come out of my mind. Sometimes I get an insight into what I have not seen until that point. Sometimes I see different perspectives from other writers. You are one of them. My interest in you first started with your name, ‘Xochitl’ because I have never seen such a name. I have learned today what it means and how to pronounce it where it comes from Again I thank you that each time you appear me with the bright and smiley face in the picture. I felt I am well accepted. Thank you for the kindness leaving the correct pronunciation of your name at your Homepage. At the same time, I thank you for the today’s devotion. Thanks for your encouragement. God is so good in the ways He provides for us and makes us feel loved and accepted. I appreciate your kind words. To God be the glory! I enjoy reading your messages from ODB. Your thoughts are captivating and encouraging every time! While I am reading, I think to myself that Xochitl must have written this! Once I scroll to the end of the message, I am right all the time! God uses you to speak plain and clearly to those he loves. I appreciate your obedience to be used as a platform to minister to us. Thank you and Thanks be to God who gives us the victory through our Lord Jesus Christ!! Thanks for your kind words of affirmation and loving encouragement. I am grateful to be able to connect with you on my blog. I look forward to growing with you, precious sister. I read your writing today in the ‘Our Daily Bread’ publication. You wrote that an aquaintence told you he found no value in what you wrote. You revealed that you became discouraged and doubted the significance of your small offerings to God. I felt led to tell you that I, for one, receive encouragement and blessings from your heartfelt stories and articles. Keep up the great work for our Lord and Savior Jesus Christ! Thanks for taking time to offer me a few encouraging words, Bill. The Lord has used kind folks like you to help me remember that He can use our smallest love-offerings for His glory. It is a pleasure and a privilege to share His truth and love with others wherever and whenever He gives me an opportunity. I look forward to growing with you as we continue seeking Him and sharing Him with others, Brother.